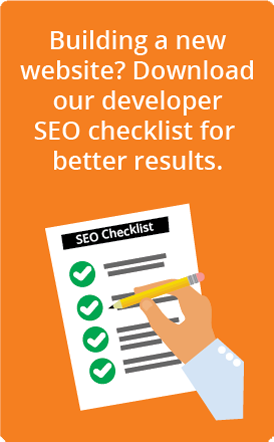 Now that 2014 is in the rearview mirror, we can officially state that it was a big year in the world of SEO. It never sits still, of course, but it seems that the rate of change really picked up last year, especially when it came to Google’s updates. The Panda 4.0 update was aimed at low-quality content, as are many of Google’s updates. A good number of major sites’ rankings got caught in this change — eBay, for example, immediately took a deep dive, possibly due to its internal linking structure. This is a good example of how critical it is to pay attention to the role that site structure plays in SEO results. The drop of Authorship data by Google was surprising, since it had been touting the importance that Authorship played in the Google+ universe. We were all using author photos and rel=author as a result, but as Google honed how Authorship worked, it wasn’t as easy to have Authorship snippets appear in searches. One school of thought is that Authorship isn’t dead — it’s just being refined so that only the seriously “elite” content creators will be rewarded in search by Authorship. In August, I wrote about Google’s announcement that sites with HTTPS would be given page-ranking priority and cautioned webmasters to do their due diligence before implementing SSL. Again, this is an example of how every part of a website can have an affect on its SEO performance. Local search was not left out, either, as an update dubbed “Pigeon” really stirred up local search results rankings. Not only did it alter how “local packs” were displayed; it really represented a foundation-level change in the way Google sees (and responds to) location information. Another Pigeon impact: “Realtor+City” searches stopped showing local results, so realtors may be feeling some pain as Trulia, Zillow, Realtor.com and others become strong contenders in the SERPs. This update also favored large online directories, so if you haven’t already, review how your business information is appearing online. The Penguin 3.0 update in October is another strong signal from Google that earned links have become increasingly more valuable than any other kind. The message here is so important that I can’t state it strongly enough: Manipulating results with spammy, unnatural links will cost you in a big way. What’s worse, if you have a Penguin penalty and clean it up, you’ll have to wait for the next update from Google before the penalty will be removed. The 2014 update came a full 17 months after the prior year’s, and that’s a long time to wait for recovery. Google did announce that the next update in 2015 wouldn’t take as long. Let’s hope so. All of the above point to some very clear indications of where digital marketers should focus their attention and their clients’ budgets in 2015. We’ll cover those in our next post. Meanwhile, how did changes in online marketing affect you or your clients? Please tell us in the comments! Move over content — intent is king.